That “great film” was, of course, The Dark Crystal. In illustrator Brian Froud, Jim had found another creative mind that could conjure up worlds of characters in remarkable settings. 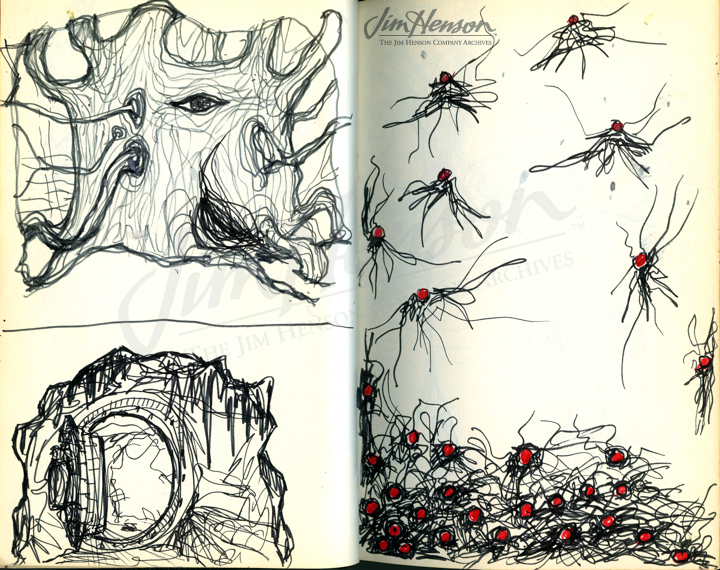 While Jim’s Koozebanians and Gorch-ian creatures frolicked in extra-terrestrial landscapes and bubbling tar pits, Froud’s fairies and goblins flitted among moss-covered tree stumps and magical moorlands. 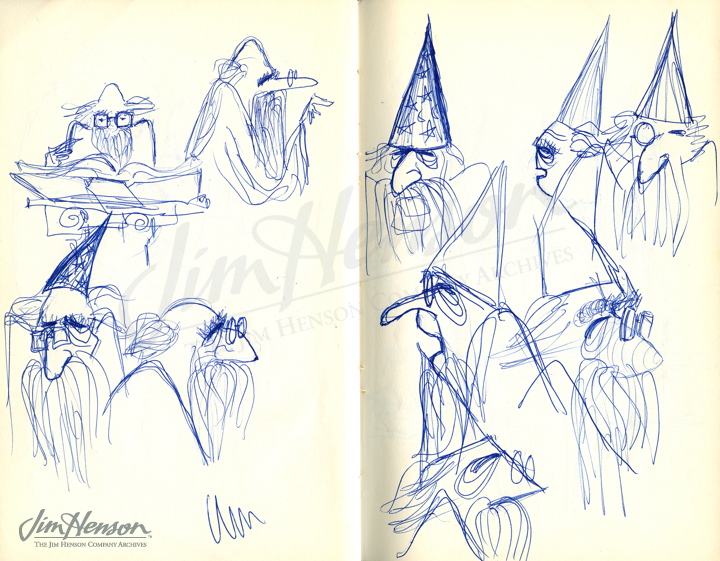 The two men realized that they brought complementary strengths to the project, including Brian’s capacity to make unlimited drawings and designs and Jim’s producing experience, and set about doing something that had not been done before – an all-puppet feature film. Five years in the making, the final product is a testament to the depth of imagination made available by combining the artistic impulses of Jim Henson and Brian Froud. Explore the details of the world of The Dark Crystal. 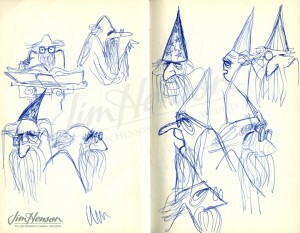 Jim’s sketch of a wizard character, mid-1960s. 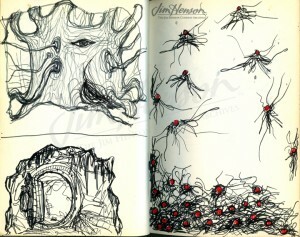 Jim’s concept for a fantasy setting, late 1960s. This entry was posted in 08-August '77, 1977, Dark Crystal and tagged Brian Froud, The Dark Crystal. Bookmark the permalink.